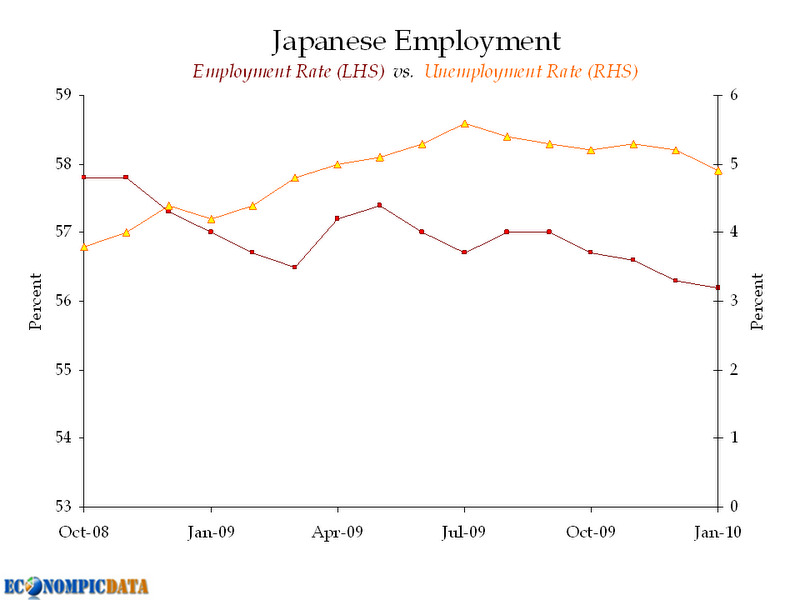 Thus Japan’s unemployment good news isn’t quite as exciting as it would be if it had been accompanied by actual growth in the employment rate. As Japan’s population continues to age, the unemployment rate is likely to stay pretty low since the country will increasingly face a shortage of working-age labour. Yet this is far from a good thing given the massive current debt and future elderly care liabilities ahead.